Leave Douglas centre via Quarterbridge roundabout along the Castletown Road and turn right opposite Mylchreests Garage into Saddle Road and turn left after a short distance and continue along to the left on Harcroft Road. Continue to the end of the road turning right into Pinehurst Avenue and then right again into Pinehurst Close and continue to the top of the cul-de-sac where the property is clearly identified by our ‘For Sale’ board. Stairs leading to the first floor. Coved ceiling. Fitted with a white wash hand basin and toilet. Fitted with a range of medium Oak base, wall and drawer units. Matching work surfaces with tiling behind. Single drainer stainless steel sink unit. Built-in electric double oven, ceramic hob and filter hood. Integrated dishwasher. Understairs cupboard. Single drainer stainless steel sink unit. Wall and storage cupboards. Plumbing for automatic washing machine. Door to the garden. Built-in double wardrobe. Coved ceiling. Part tiled to complement a white suite comprising bath with shower mixer lead over, wash hand basin and toilet. Mirrored medicine cabinet. Fully tiled to complement a white suite comprising bath with electric shower over, wash hand basin and toilet. Cylinder/linen cupboard. Mirrored medicine cabinet. Open plan lawned front garden. Two car tandem driveway. 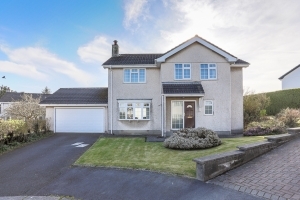 Very well kept side and rear garden mainly laid to lawn with mature boundaries. Remote up and over door. Power and light installed. 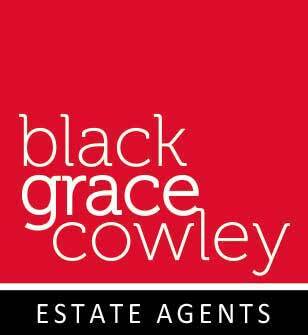 Viewings by appointment through the agent Black Grace Cowley.